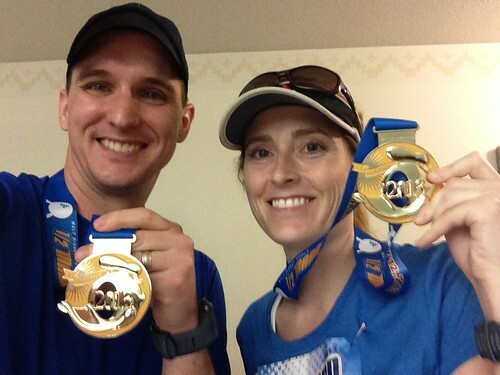 As some of you may know, we have spent the past four months training to run a half-marathon. It all culminated on New Years Eve when we ran 14 miles with Mom. 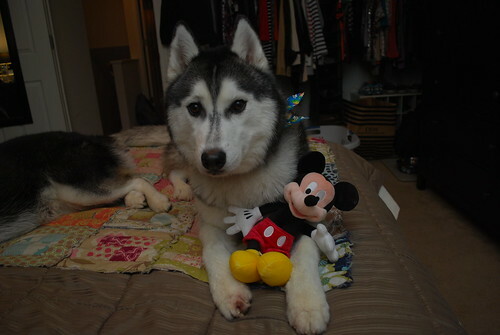 Then Mom and Dad left us at the kennel and went to Disney World to run the actual race. Wait, what? I know it hardly seems fair since we worked super hard to get in shape for the race. 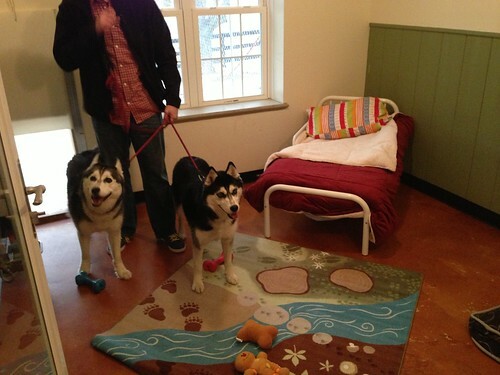 Here are our digs at the kennel. Since we were staying there for 10 days, we were happy to have our own bed, a TV, and a nice fenced patio. 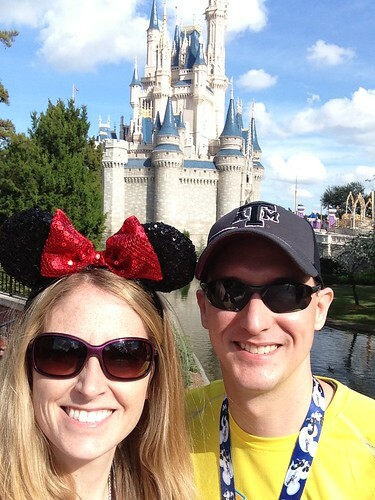 It appears that Mom and Dad had some adventures at Disney World as well. 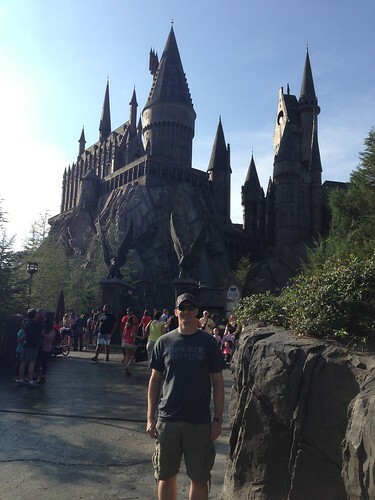 They visited two castles, Cinderella's and Hogwarts. 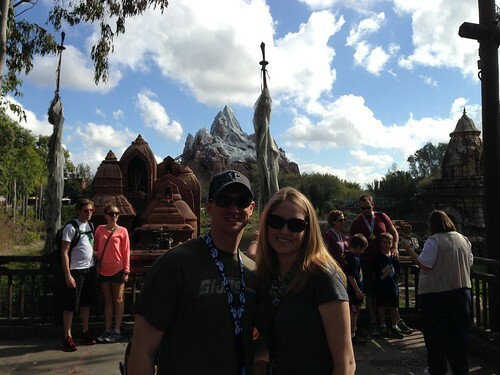 They survived a Tower of Terror and an Expedition to Everest. 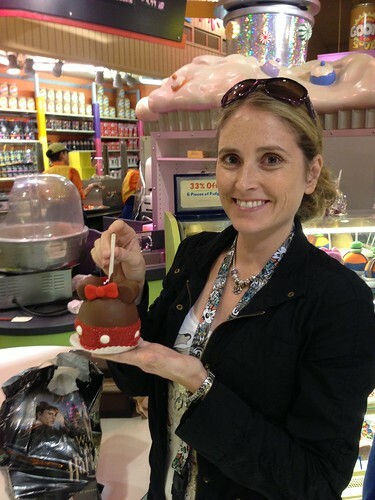 Mom ate a giant candy apple (emphasis on the candy). And apparently there were ducks and squirrels all over their resort that were very tame. Our 1-year old cousin, Special K almost caught a duck if that tells you how tame they were. Think how many we could have caught! 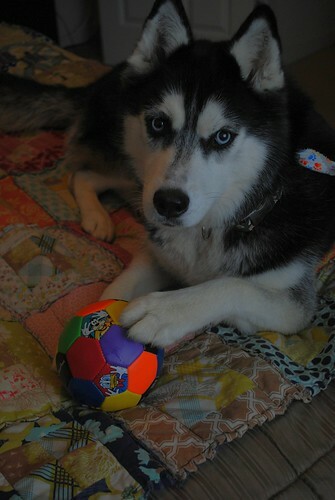 To try to make it up to us, Mom and Dad brought us some presents. 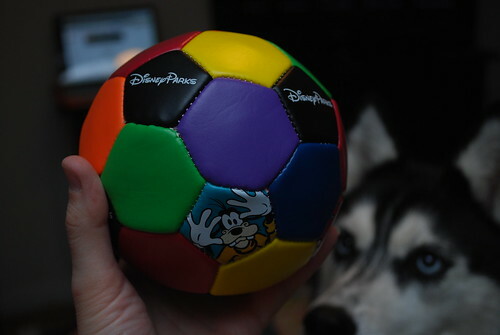 Kat got a fun Disney soccer ball. 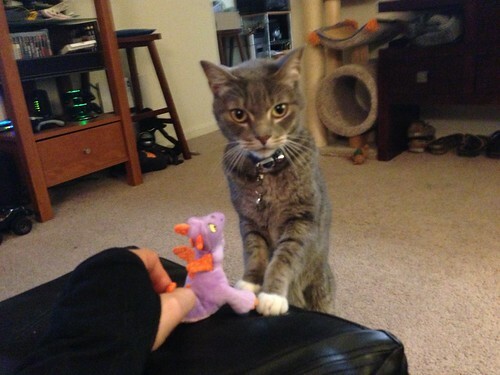 Wilbur got a tiny Figment. 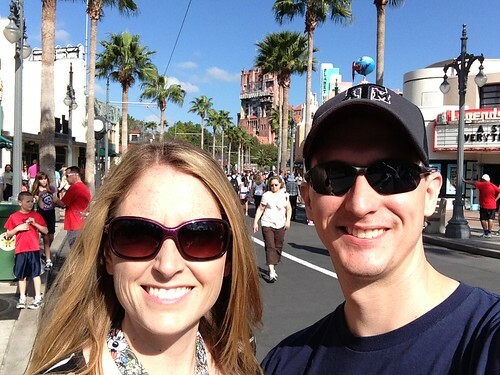 Apparently last time Dad was at Disney World, his favorite thing was Figment. In fact, it's the only thing he remembers about that trip. He was four. 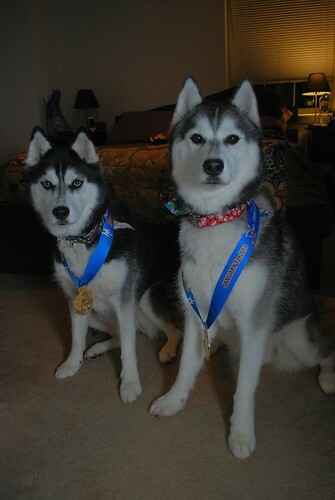 Mom and Dad got some super cool medals for running the race. We will let our readers decide who wears them best.